[:en]We all heard about the effects that hurricane Irma had on the coasts of Florida and the Caribbean islands, but we don’t think about the effects it had on the animals that can’t run away the storm. As a result, two manatees found themselves stranded on now-dry land just north of Sarasota. At the beginning when they were found by some people it was believed that they wouldn’t survive. But it turns out the manatees didn’t need the storm surge after all. Between law enforcement officials and a group of citizens, the manatees – stranded, of course, in Manatee County – were rescued and carried back into deeper water, According to Fox News. 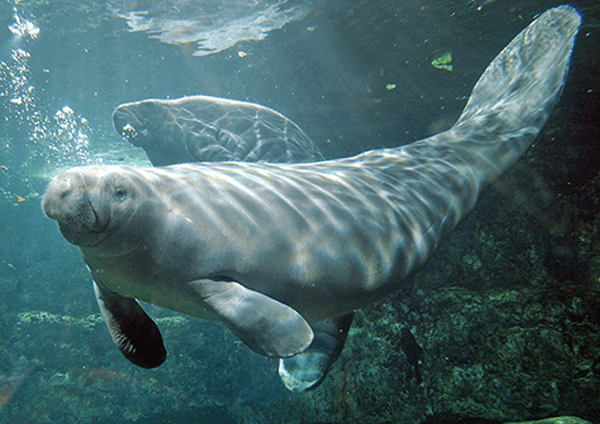 In 2001, activists, academic groups and civil society organizations participated in the rescue of 19 manatees after being trapped by the water drop due to extreme heat at Laguna de San Juan in Chiapas. This fact set the precedent so that every September 7 is celebrated in Mexico the national day of this species, which according to myths and legends are related to sirens. These mammals belonging to the order of the sirenians are the largest herbivores in the ocean and there are three types of species in the world; the Amazonian, the African and the Antillean, and all of them are in danger of extinction. Historically the distribution of the ‘mermaids of the Caribbean’, as they are also known, that are found in Mexican waters, covered the waters of all the Gulf of Mexico. Nevertheless, due to the danger which these mammals face, today they only are found in rivers of Veracruz and in the Caribbean coast of Quintana Roo. The Caribbean manatee has a great agility in the water which allows it to make jumps, twists, turns and somersaults. They are very peaceful and do not have natural predators, so their vulnerable status as a species is due to the human being. Manatees are between 3 and 4 meters in length. Its weight ranges between 300 and 500 kilos. It has lungs to breathe out of the water, suckles its young for development and has hot blood. 35 kilos weigh at birth and stay with their mother for 2 years. It is the only aquatic herbivorous mammal in Mexico, consuming only algae, lilies and shallow marine grasses. [:es]Rescatan a manatíes varados tras el paso del huracán ‘Irma’ por la península de Florida. Los animales tuvieron que ser arrastrados por los rescatistas cerca de 100 metros hasta aguas profundas. 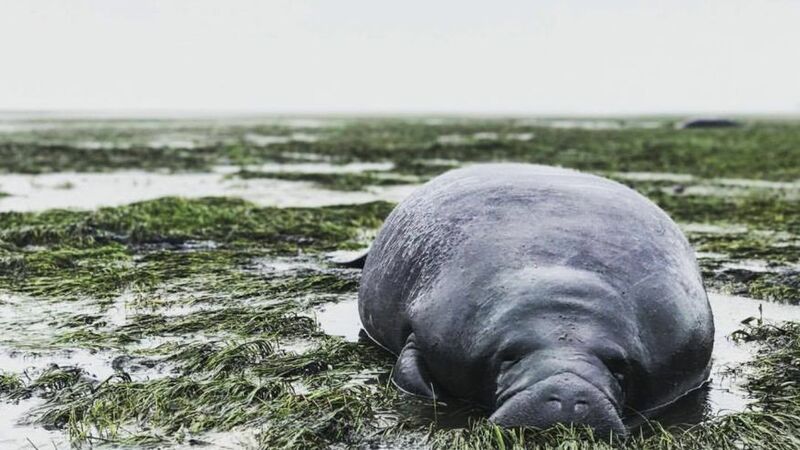 Los dos manatíes quedaron varados después de que el huracán Irma retiró el agua de la bahía de Sarasota, en Manatee County, Florida; lugar que se convertido en un santuario para la conservación y reproducción de estos animales tan importantes para el ecosistema. Varias personas publicaron imágenes de los mamíferos en Facebook durante esos días en los que Irma azotó el Caribe y la Florida, con la esperanza de que rescatistas o funcionarios respondiesen a esta situación de emergencia. Michael Sechler publicó que los animales eran demasiado pesados como para levantarlos, por lo que los rescatistas les dieron agua, los humedecieron y posteriormente utilizando lonas para llevarlos hasta donde pudieron depositarlos en agua profunda. Según una publicación de Marcelo Clavijo en redes sociales, un grupo de personas logró subir a los manatíes a carpas y arrastrarlos a aguas más profundas. Los animales estaban cubiertos de lodo, lo que dificultó la tarea, sin embargo Clavijo dijo en su publicación que rescatarlos “fue una experiencia muy padre”.